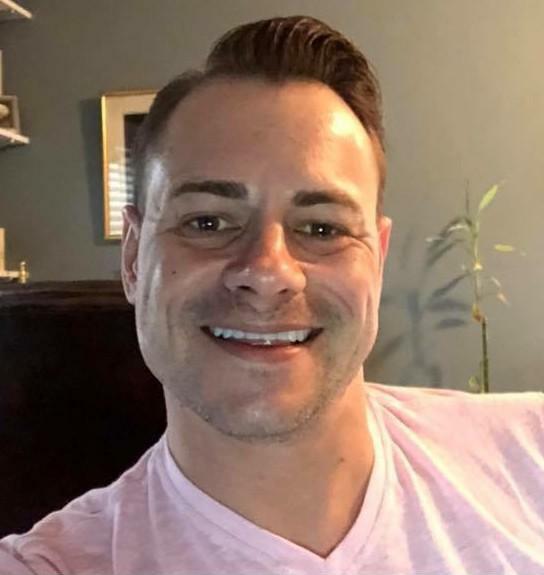 Richard "Rick" Simpson, 42, of Drexel Hill, PA, died suddenly on August 16, 2018. Raised in Charleston WV, he has been a PA resident for over 15 years. Rick was employed as a consultant by Alliance Life Sciences. A Drexel Hill resident for over 5 years, he was devoted to his menagerie of animal companions. Along with his husband of 5 years, Stephen Simpson, he enjoyed travel, shopping, home improvements and gardening. Any activity that they could share and do together was at the time, his favorite. Devoted to his iPhone, he particularly loved to find new and varied cases to match his mood and his wardrobe. Survivors: include his husband Stephen; his blended families in Delaware County, The Petzelt and Stumms and in West Virginia the Dolin, White, Hammond and Stump families. Stephen, Rick and Lee made the trip out to Oregon for our daughter's wedding this time last year. We had a blast; we had rented two houses so that we could all be together and make a vacation out of it. Rick and Stephen and Lee were in the 'noisy' house along with Joyce and Terry and Miranda. Stephen got on with everything with his usual enthusiasm and Rick puttered along more quietly enjoying every minute. I was lucky to have a day with Rick while the others went drifting on the river. The two of us weren't feeling too good so we opted out. I loved listening to him we could tease each other about who had the accent - he won hands down! The thing that stands out more than anything was the love that Rick and Stephen shared. They made us all feel slightly envious! Their love overflowed and embraced everyone they call 'friends' but we are all much more than that we are 'family'.